As the temperatures continue to drop, so do the leaves of many of our trees…but not before they put on their final show of the season. We all know leaves are green because of the presence of chlorophyll, the pigment responsible for photosynthesis. 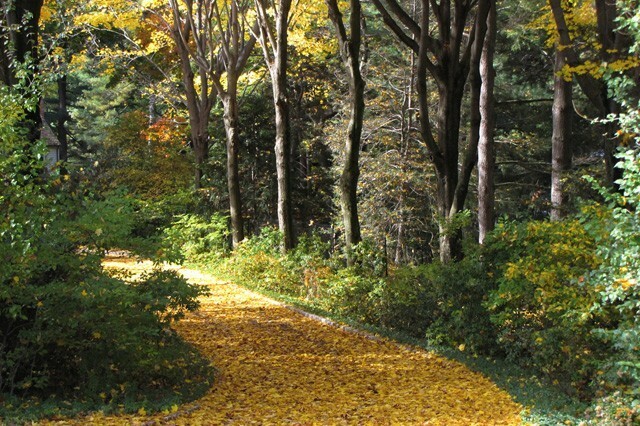 As trees shut down for winter, photosynthesis becomes unnecessary and chlorophyll starts to degrade along with the prominent green coloration. Other hidden pigments already present within the leaf are then expressed visually, such as yellow xanthophylls and orange beta-carotene. However other pigments (anthocyanins) which produce brilliant reds and purples must be chemically synthesized from other compounds present within the leaf. The quantity of available coloration pigments and raw ingredients, as well as the timing of chlorophyll breakdown itself will influence how a plant’s coloration is ultimately expressed. Environmental factors dictate the amount and intensity of fall coloration (temperature/degree days, heat spikes, diurnal shift, soil temperature, drought, excessive rainfall, etc.). The precise combination of these influences will fluctuate in a temperate climate such as ours (USDA Hardiness Zone 6-B), assuring recurrent climatological distinction not just between seasons, but also within seasons. This variation assures that no two years will produce exactly the same fall coloration results among our deciduous plant life. Think of it as Mother Nature’s way of rolling out a new line of apparel for the fall season every year! no shortage of color here! For the sake of simplification I tend to compare the current season’s fall color to mental snapshots of previous years, and have adopted a three-tier scale to rate the overall display – below average, average, and above average. 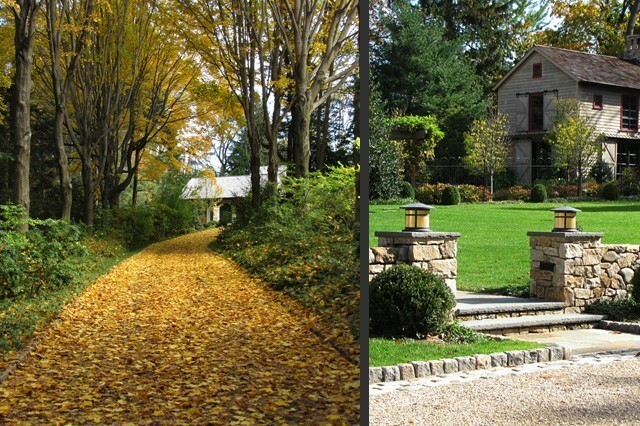 This year started out as below average, as early-coloring Ash trees shed leaves with little color change. This soon improved markedly though, as all species of Maple trees had exceptionally good seasons for color; the Red Maples in my own yard had their best display ever in fact, flaunting brilliant reds and yellows simultaneously for nearly ten days. 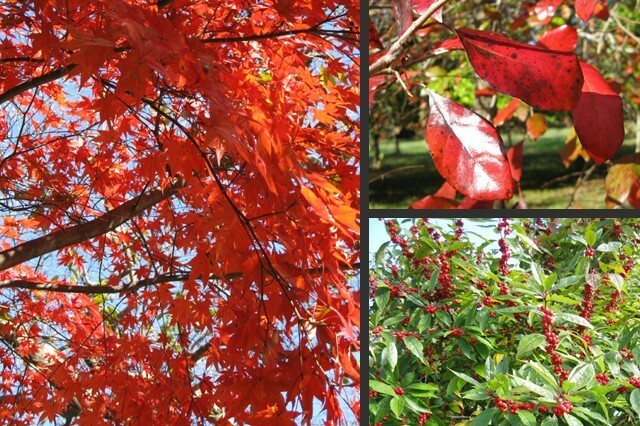 Plants that transform late in the season such as Oaks, Viburnums, Sweetspire, and certain Hydrangeas have also shown appropriate levels of coloration. Final conclusion: I’m calling 2011 an “Above-Average” year. This was the wettest year on record for the region, which I’m sure played a factor in determining coloration. At least there was a silver lining to the seemingly endless rain we endured from August through mid-October!